I’m trying to make some kick-a updates to the ol’ BarryEitel.com, many of which focus on Flesh, my latest project. 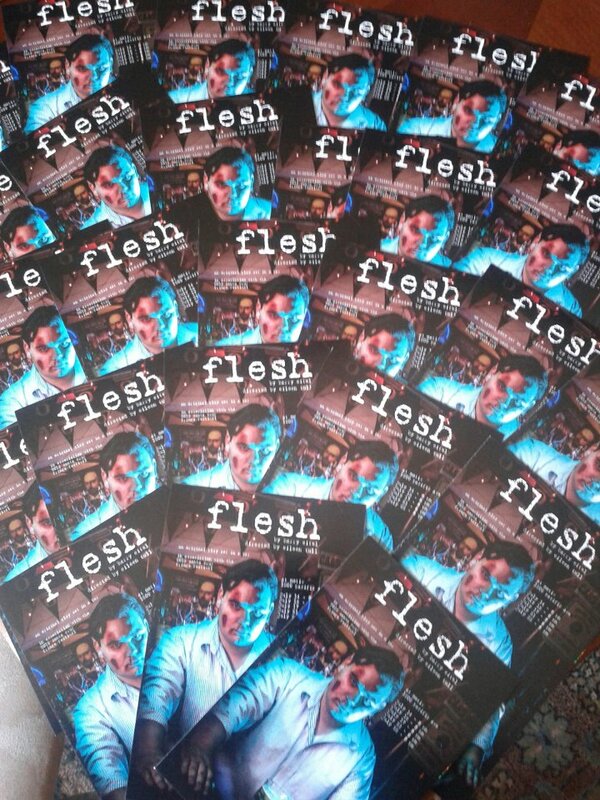 We got postcards printed, a venue (the ubercool Motiv), some great actors, and a wicked script. It’s been a very challenging project and I’ve been learning a bucket-load about producing, but I think the finished product will be frickin’ awesome (a show about flesh-eating bacteria, and you can drink through the whole thing!). Get some tickets and come down to lovely Santa Cruz. You won’t be sorry. I might even buy you a drink.